US President Donald Trump and North Korean leader Kim Jong-un are set to meet for a second time on February 27 and 28 in Hanoi, Vietnam. Trump tweeted that US diplomats had a "very productive meeting" with their North Korean counterparts, during which they agreed on the time and date of the summit. He ended his tweet: "I look forward to seeing Chairman Kim & advancing the cause of peace!" 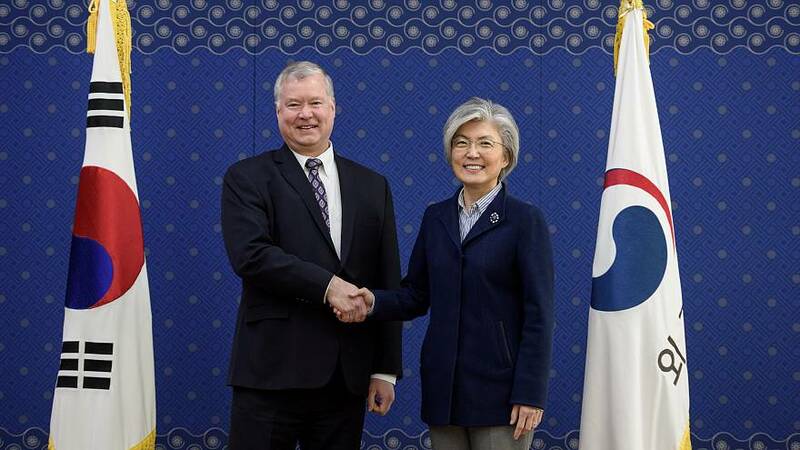 The US's special representative for North Korea, Stephen Biegun, held three days of talks in Pyongyang to prepare for the summit, according to the State Department. Biegun agreed with his counterpart Kim Hyok Chol to hold further talks ahead of the event, it added. Trump announced dates for the second summit and said it would be held in Vietnam earlier this week, but the city had not been disclosed. The White House announced in January that the two leaders would meet "near the end of February." Trump and Kim held their historic first summit in Singapore in June 2018, following a series of diplomatic overtures by North Korea such as the release of three American prisoners. The document they signed stated that North Korea “commits to work toward complete denuclearisation” but failed to address how and by when it would be achieved. Sanctions have so far remained in place as little progress has been made in the past seven months — although North Korea has not conducted any new missile tests and has seemingly dismantled a nuclear testing site.